Sensible Duel is all about timing. You play a teenager who somehow got to hell and is now interlocked in an eternal duel with a Big Bad Death Knight(c). Tap the screen to attack and block your foe's attacks. Try to connect consecutive hits by not striking your foe's shield, as this gives you a great score multiplier. Oh, since he's a Big Bad Death Knight(c), if he manages to hit you, you lose. 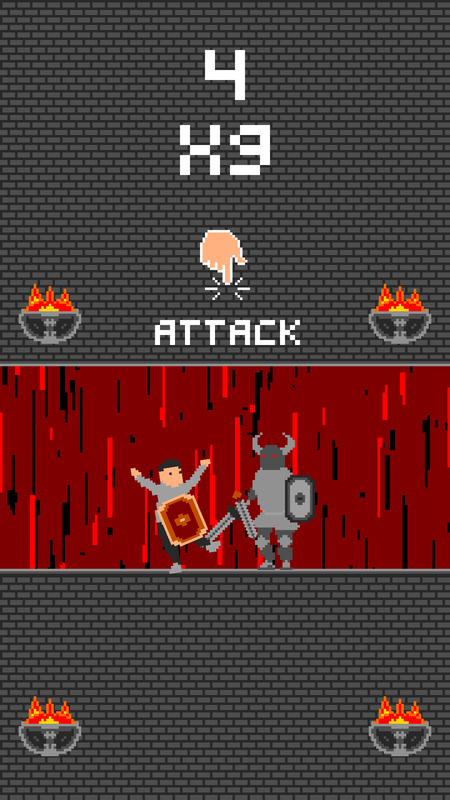 1) Tapping while you're attacking, cancels the attack and blocks instead. 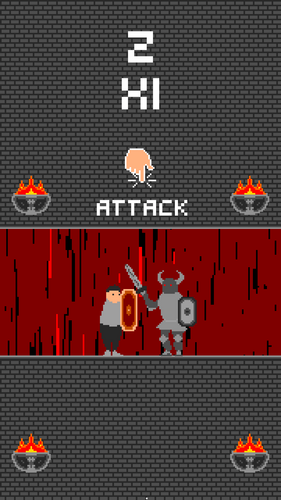 2) Tapping while you're blocking, cancels the block and attacks instead. 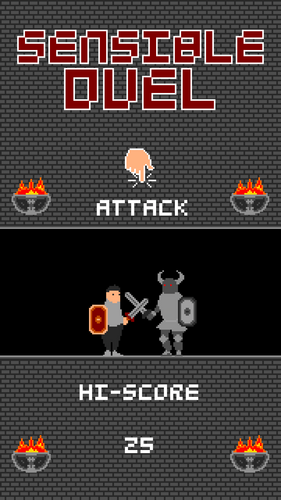 3) Tapping while you are idle blocks if your opponent is attacking, and attacks if he is blocking or idle. While you could endlessly time your clicks, you may find progression slow. The Big Bad Death Knight(c) is pretty adept at blocking hits, and so getting higher scores in this way will take a long time. If you are confident in your abilities, you could try to build up the multiplier. This requires precision and fast reflexes; cancel attacks that your foe will block, and try to time them when his block is about to expire.